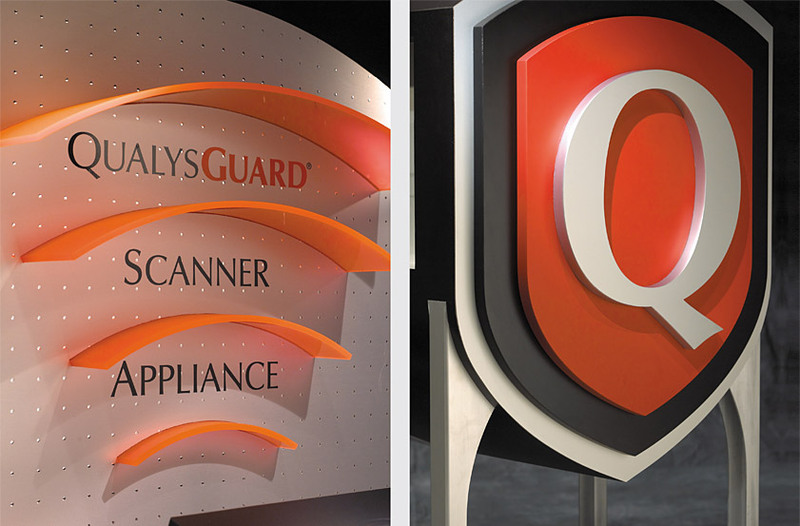 Qualys is the leading provider of on demand IT security risk and compliance management solutions delivered as a service. The firm’s scanner appliance scans computer networks for vulnerabilities and performs on-demand security audits. 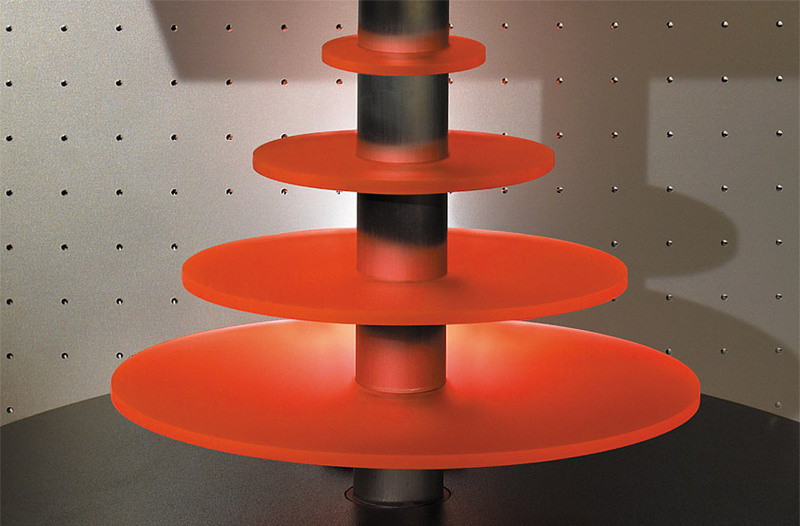 Our solution conveys the electronic scanning process with a series of edge-lit fluorescent plexiglas emanating waves. 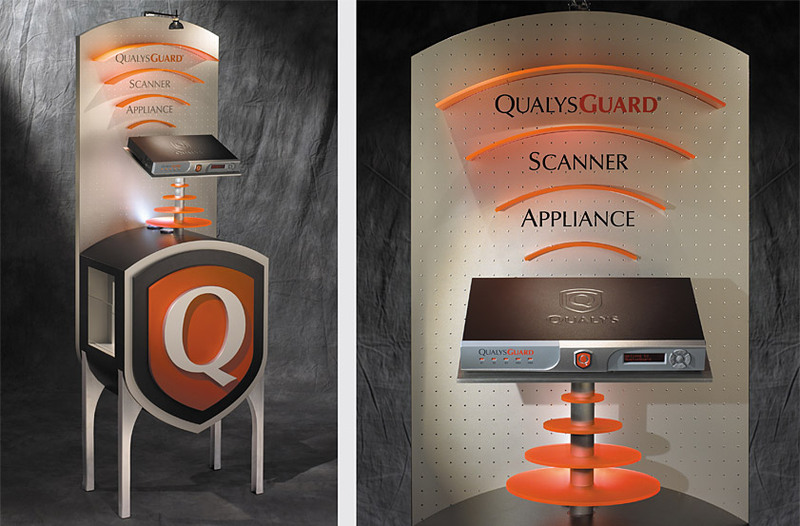 The product is showcased on a rotating platform which rests on a three-dimensional company logo as its base. Machined aluminum legs are derived from the shape of the logo.